A pay stub is part of a paycheck which details the hours worked, taxes paid and wages earned for a specific pay period and year-to-date payroll. Employees receive either electronic or printed payroll pay stubs, but with the rise of direct deposit, electronic pay stubs are becoming more prevalent. 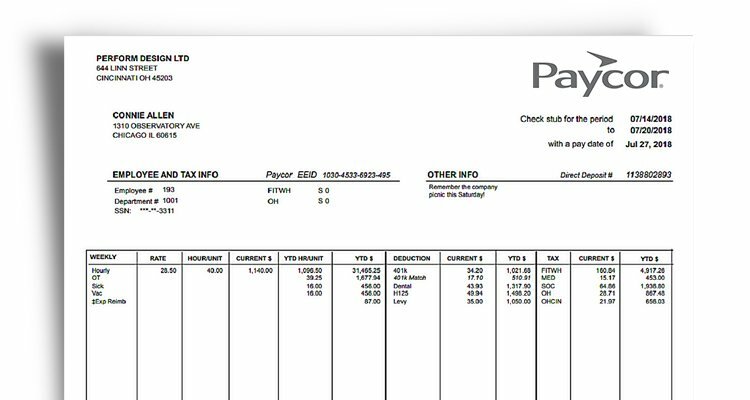 For employers, pay stubs prove their business is paying their employees as promised. It is also a record confirming required taxes and fees have been deducted. For employees, pay stubs can be reviewed to ensure accurate payments and correct deductions. Learn more about issuing pay and pay periods here.